Sable finish on ash veneers, the Nightstand from the Tangerine 330 Collection by Pulaski Furniture is small in scale but big in features. It has a built-in charging station. 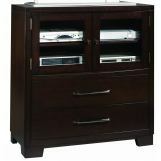 A power supply is incorporated into the drawer along with a tray that supports up to four devices such as cell phones, MP3 players and cameras. 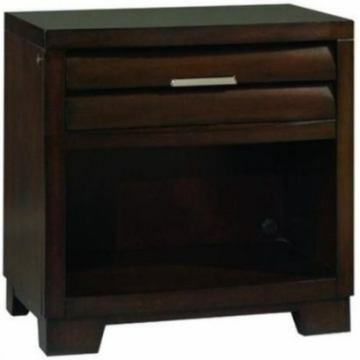 Built in "soft touch" night light beneath each night stand illuminates the floor but little else. The drawer is designed with full-extension ball bearing side glides. This allows you to open the drawer completely and have easy access to all its contents. 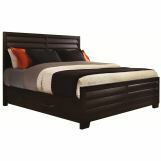 The Tangerine 330 Bedroom Collection combines extraordinary functionality and design at a surprisingly affordable price.